As a world-class equestrienne and Olympic contender, Annemarie Zimmer lived for the thrill of flight atop a strong, graceful animal. 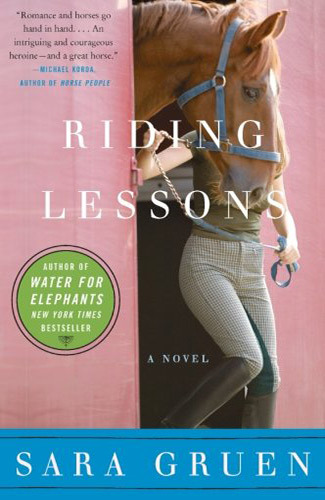 Then, at eighteen, a tragic accident destroyed her riding career and Harry, her beloved and distinctively marked horse. Now, twenty years later, Annemarie is coming home to her dying father’s New Hampshire horse farm. Jobless and abandoned, she is bringing her troubled teenaged daughter to this place of pain and memory, where ghosts of an unresolved youth still haunt the fields and stables—and where hope lives in the eyes of the handsome, gentle veterinarian Annemarie loved as a girl, and in the seductive allure of a trainer with a magic touch.